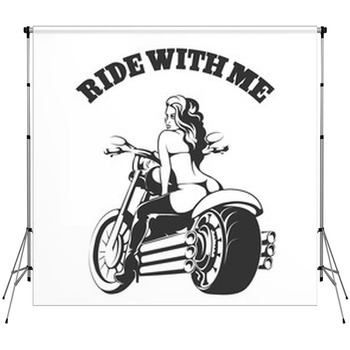 If you have ever felt the liberating rush of riding a motorcycle, you know that little else compares to that feeling of power and freedom. 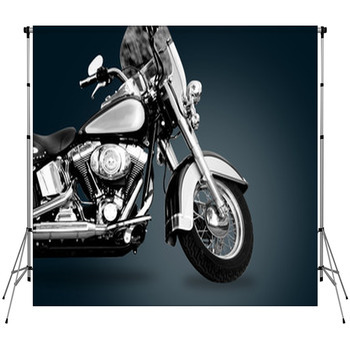 Our motorcycle backdrops have captured this unique feeling and deliver it to you in the form of the perfect custom size photo backdrop for all your photography needs. 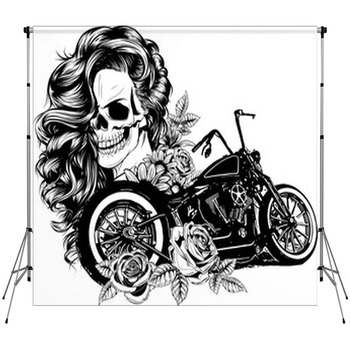 They come in all shapes and sizes, and regardless of your desired look we have motorcycle images for you. Grizzly Harley Davidsons and sleek Ducatis show off their impressive engineering and mesmerizing looks. 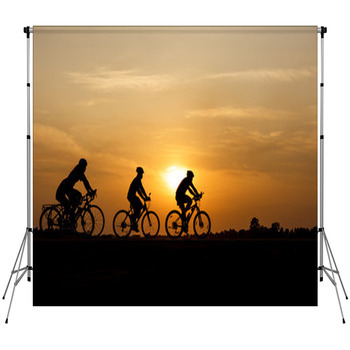 These portable photo backdrops are sure to give your field or studio work the incredible feeling that only a well-built bike and the open road can give. 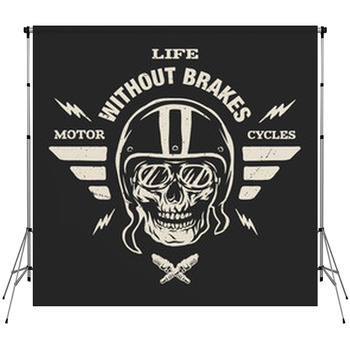 Put on a helmet and get ready to speed over the black asphalt on two wheels. Awesome photographs of real motorcycles show off their brilliant polish and fresh paint jobs. 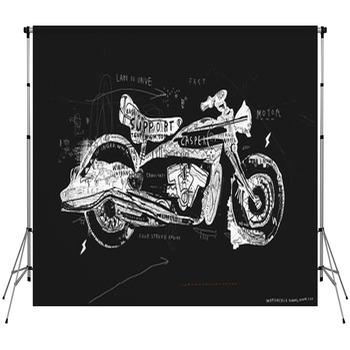 Jet black cruisers are covered with silvery chrome, oiled leather and mountains of attitude. Competitive superbikes bend around turns at breakneck speeds as they seem to defy the laws of gravity by nearly leaning horizontal. 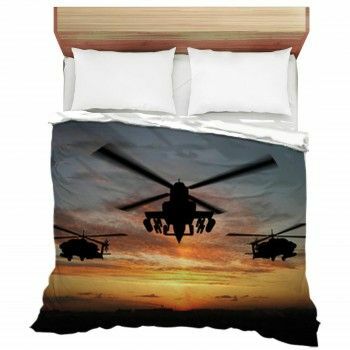 They are painted in bright rainbow colors of everything from electric lime green to crimson red and starburst orange. 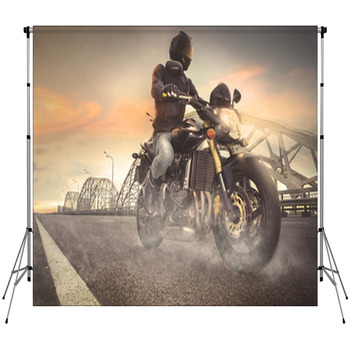 Other artistic illustrations of racing motorcycles are also shown in every color scheme imaginable and just right for your photo backdrop needs. 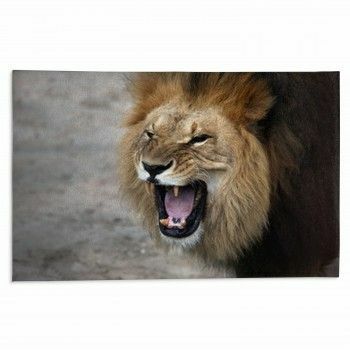 The extreme nature of these photographer backdrops makes them highly utilized for certain photographic works. 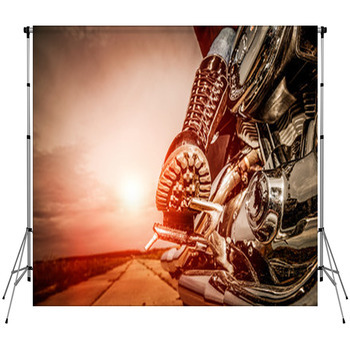 For photo shoots of teenagers or others who are true motorcycle fanatics, our products are sure to capture just the right mood and give confidence to you and your portrait subjects. 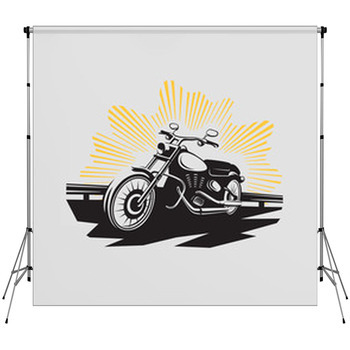 If you're capturing an event like a race, bike show or birthday party, we have other matching motorcycle themed products perfect for you. 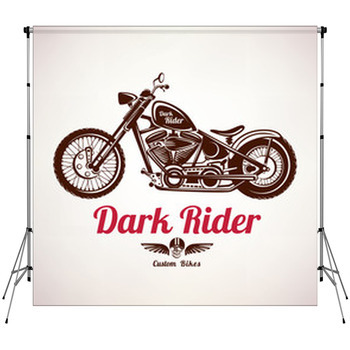 Our motorcycle wall murals and wall art will look great surrounding your brand new personalized custom size backdrop that you have added your own text or images to suit your unique needs.